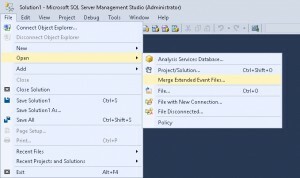 Last week I blogged about increasing retention of System Health session files. In this post I will show how you can open multiple files at once and work with the data as one set. 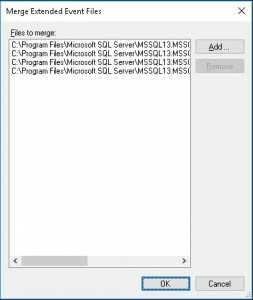 If you select multiple System Health extended event files (with extension .xel) and click open each file will open in separate window of SQL Server Management Studio (SSMS). You can see here 4 files opened in 4 different windows. Now you cannot sort, group, apply filter, export data from all 4 windows as one data set. 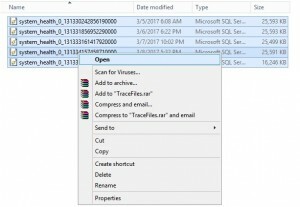 For opening all these files in one window and work as one data set follow these 5 steps. 2. From Menu chose File –>Open –>’Merge Extended Event Files’. 3. This will open a box, click Add button. 4. 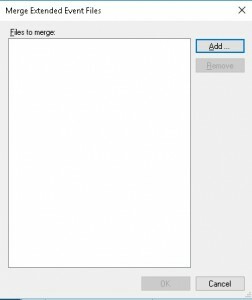 Chose files you want to open together. 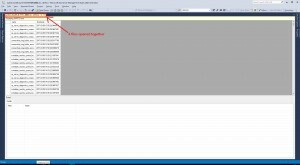 This post explain how you can view the data in different ways and export to table or to CSV file. Digital Dementia – What can we do about it? Data Discovery and Classification -How it is done? 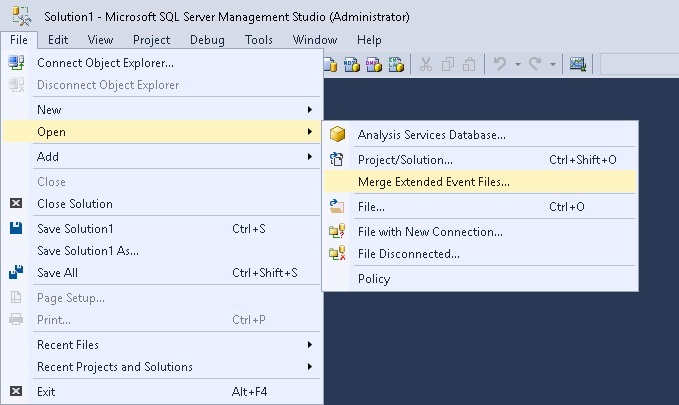 Introducing Microsoft SQL Server 2016: Mission-Critical Applications, Deeper Insights, Hyperscale Cloud, Preview Edition.